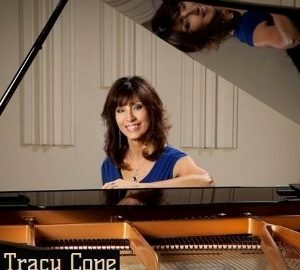 Tracy Cope is one of the most accomplished pianists in the state of Utah! She will add a touch of grace and beauty to wedding and/or reception. Tracy played at my wedding luncheon. I would recommend her to anyone! Tracy is AMAZING!!!!! I have referred her to so many people. Get A FREE Brochure from "Tracy Cope – Pianist"
Tracy is a talented pianist who will add a touch of grace and beauty to wedding and/or reception. With experience ranging from assisting high school auditions to playing for the Rockettes in New York City, Tracy Harris Hales is a reknown talented pianist who adds a professional touch of beauty and fun to every performance. With the ability to sight-read music flawlessly combined with a feel for the tone of each individual piece, her natural gifts and classy style make her a rare find and a perfect choice when searching for a memorable wedding pianist. Tracy can easily travel anywhere in the state of Utah between Cache Valley and Utah Valley. Special traveling arrangements can be made outside of this area. Please mention this ad when you contact Tracy! I booked Tracy to play at my wedding luncheon. She arrived on time, was prepared, and played absolutely beautifully! She was very receptive to pause while announcements were being made, then to resume playing again. She was just incredible and perfect! I would recommend her to anyone! Tracy was amazing. She played for our ceremony, dinner and reception. I am so happy to have found her. It was such a relief to just relax and enjoy my wedding. She played so many fun songs and everyone at the wedding commented on how wonderful she was. She was so professional and I would definitely hire her again. I have referred her to so many people. She is AMAZING!!!! !